Yesterday morning at 06:40, a Sand Beach Twp. resident residing at 8292 Section Line, found a suspicious minivan parked in grass covered soft soil of his barnyard with occupants in it. Our office responded to find a Rubicon Twp. couple occupying it, along with the child sleeping in a sleeping bag. Initially they were unaware of where they were, even referring to possibly being near a St. Clair County town. Suspected of being under the influence of drugs, they were arrested and lodged in our jail on misdemeanor child abuse charges. The child was eventually turned over to Child Protective Services for temporary placement. Investigation continued, which resulted in their van being impounded and a search warrant being authorized to search it, as well as their residence on N. Lakeshore Rd in Rubicon Township. From evidence located at their home, it appears that methamphetamine was being produced there. 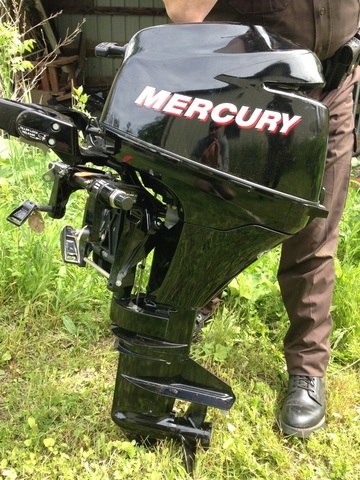 A stolen boat motor was found concealed in an out building that was recently stolen out of Sanilac County. Several other items were eventually seized, which included prescription drugs. Reports have been turned over to the Huron County Prosecutor’s Office for review and expected added felony charges. As of press time, both parents remain lodged in our jail with a $2,000 per person cash bond. Agencies supplying assistance to our office in this matter were the Harbor Beach Police Department and the Sanilac County Drug Task Force. A special Michigan State Police unit responded this morning to remove the left over hazardous meth components. This investigation will continue. Information provided by the Huron County Sheriff’s Department.